It was started from a little town in the northern part of East Borneo, Sangatta and with an ignorant and innocent dream of two sisters who had been dreaming about travelling in Southeast Asia for so long time ago, my sister and I. So, there we started, drove our cheap car about 320 km southward and in 8 hours we arrived safely at Balikpapan with those wide smiles on our face. Still ignorant. Still innocent. 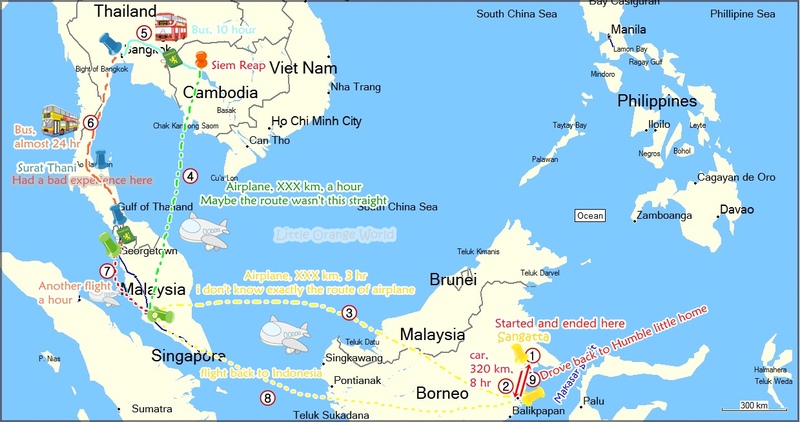 That was our first countries and we had ten hours there before heading to Siem Reap, Cambodia. What these two sweet sisters were doing for ten hours free time? 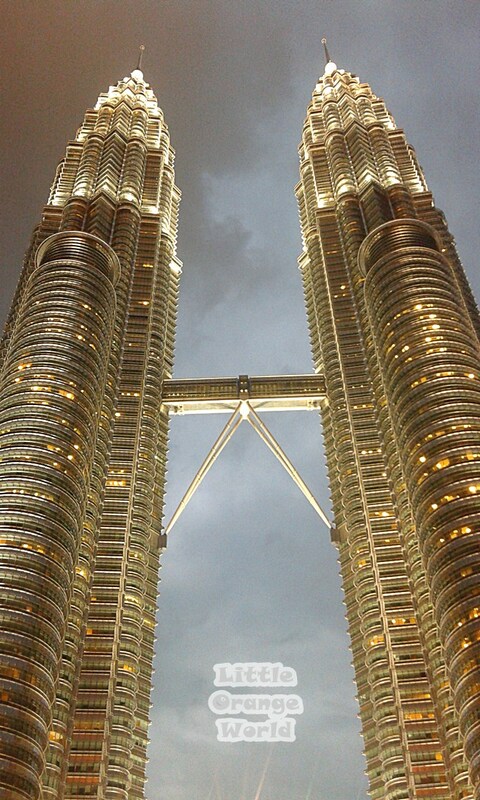 We enjoyed the sight of Twin Towers in dawn and had dinner in Jalan Alor. The most memorable moment at that quick stop was about what happened while we were sitting almost three hours and chatting also laughing on our own in front of Twin Towers like morons and once in awhile (when it possible) we took the picture of it, repeatedly, until the sun set down at the west, and the result of our three hours waiting was like this. The sky was cloudy that day. The picture above wouldn’t be that memorable if the real situation wasn’t like the picture below. We laughed because of the fuzziness, the crowd, and the poses we had been seeing for three hours waiting. The other people might laugh at us to, but we wouldn’t mind either. 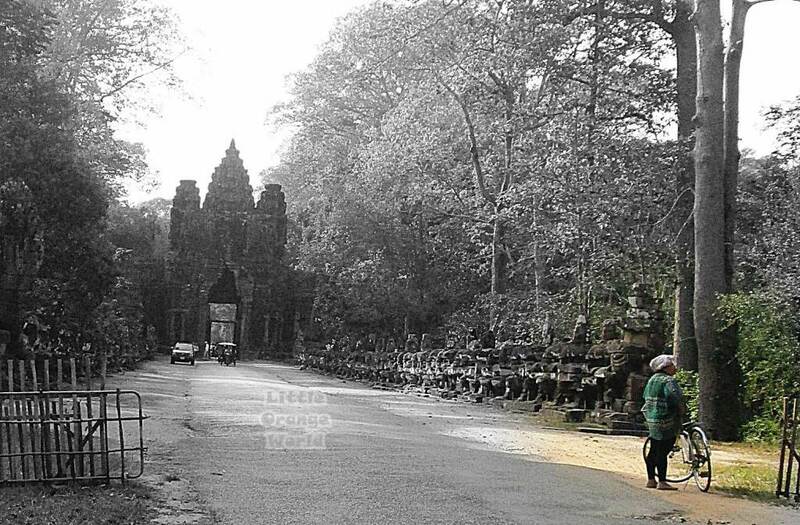 Angkor Wat, that was all we want to see (that time) for Siem Reap. Shallow? Yes, we were. I planned for floating market at first, but all I could imagine was a floating market at Banjarmasin, so we passed it. In the end it was about Angkor Wat Complex without Angkor Wat Temple itself (it would be another story). A half day bicycling through Angkor Wat was left me jaw dropping for its splendid sight and sighing for its extremely wide area to explore. When the whole experience left a thought on my mind: if the Angkor Wat Complex’s ruin is that wide and splendid, how was the complex while it wasn’t ruin? *I will not imagine that, I’m afraid of getting exhausted all of sudden*. Maybe the beauty detailed and amazing view of Angkor Wat Complex not well written by me, even my picture couldn’t capture it that well too, but not about this picture below, the picture of my sister. This picture really matters to me, this speaks more than she could say to me, but I ignored it. While seeing this picture, I bear so much guilt toward my sister. This picture shows how much I pushed her back then.If I could say, that how her torture was started. She asked for a tour by tuk – tuk, but I insisted on riding rent bicycle for each of us, and in the end she gave up her opinion to mine. It wasn’t because the tour around Angkor Wat Complex bad for us, nor we didn’t satisfied. We enjoyed it. Angkor Wat was a great experience for us, but the bicycling was the problem, I mean, the effect of “bicycling a half day in 50 kilometer long route after never had been riding a bicycle for more than 15 years”. Recalling it makes me shivering and giving strain all over my body. Argghh!! For us, travel is about attraction, and make a move, the other interesting things that come up while travelling is a bonus. 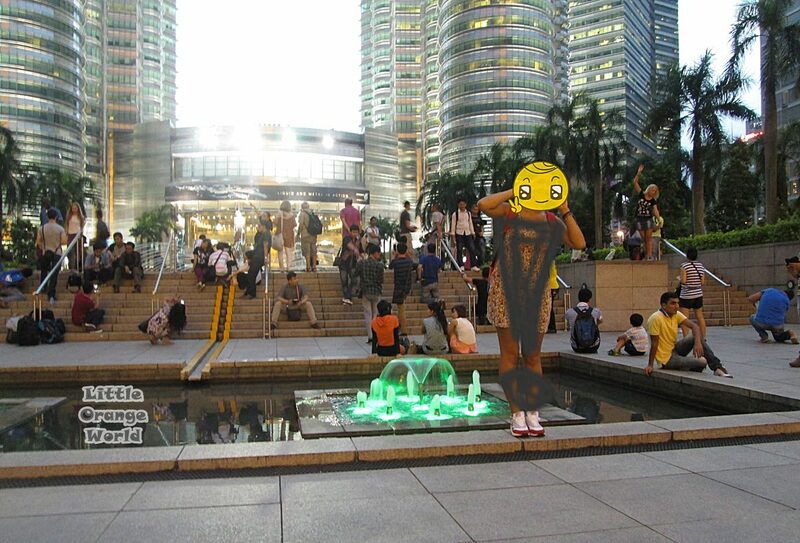 When we were on vacation, we really tried hard to act like a “local”, but we couldn’t get it that far because we were already happy just by arriving at a new place. That’s us, me and my sister. Wah… nyetir atau terbang ke malaysia? Seruu banget kayaknya, jadii klo kesana. mendingan naik tuk2yah? 50 km itu datar apa ada lembah naik turun? Yes, it was really hard. Have you done it? Where? Yes, many years ago I did a 3 day tour of country England by bicycle. To get where we wanted to go, we needed to travel a minimum of 16 miles a day, and we were not fit enough to do it, especially when we were loaded up the camping gear (lots of extra weight). I spent the time just wanting to go home. Worse, though, was some years later, when I bought a bike and rode it home after work, which was about 20 miles. I knew it was a long way and planned to take it quietly, but then I realized that I had forgotten to buy lights for it and it was getting dark, so I ended up having to go as fast as I could to beat the sun going down. England? wow, that’s my biggest dream :). That was quite a long riding, i think i would need more energy for that. was the road flat? Oh, It worse Allyson, i know how it feels because we didn’t have the light too. So, we felt we were cheaters because we were following every rider who had light on the bicycle :D.
Previous Previous post: The Khekarian Threat – FREE on Kindle – limited time.